Mammal. 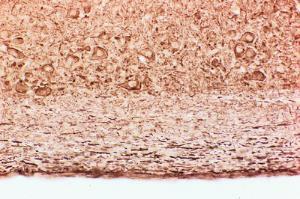 Clearly defines gray and white matter as well as large motor nerve cells in the ventral horn. 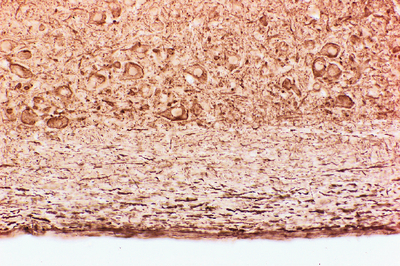 The antibody labeled neuronal processes are in a pattern similar to silver stain.